The Big Wobble: New form of terror on the rise in London: Five acid attacks within 18 minutes of each other in the capital: Attacks doubled since 2012. 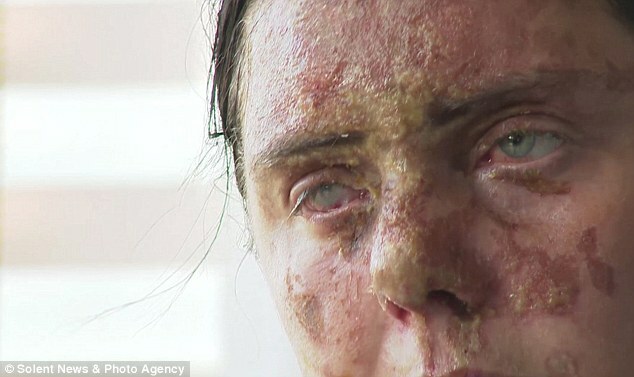 New form of terror on the rise in London: Five acid attacks within 18 minutes of each other in the capital: Attacks doubled since 2012. Police are investigating reports of five acid attacks within 18 minutes of each other in London. It is reported that two men on mopeds carried out the assault. Mainly Uber delivery drivers,' a Twitter user said. It comes just weeks after a woman was left with life-changing injuries after a similar incident in London. Resham Khan was celebrating her 21st birthday with her cousin when they were attacked. Five attacks in east London which involved corrosive substances being thrown in peoples' faces are being investigated by Scotland Yard. They all happened within 90 minutes in Hackney and Stoke Newington on Thursday night and are being treated as linked. The attackers, who the Metropolitan Police are seeking, were on a moped. The victims were taken to hospital, with one of them suffering what has been described as "life-changing injuries". Attacks on the rise Assaults involving corrosive substances have more than doubled in England since 2012, with the number of acid attacks in the capital showing the most dramatic rise in recent years. The Met's own figures show there were 261 acid attacks in 2015, rising to 458 last year. So far this year, excluding Thursday night, the Met has recorded 119 such attacks, according to the BBC.